SALINAS, Calif. (May 15, 2018) – Closing out day three at the 2018 Amgen Tour of California, and rebounding one year later at the race where his team pulled him after suffering a concussion and broken collarbone, Trek-Segafredo’s Toms Skujins (LAT) made a late race move that paid off, along with Hagens Berman Axeon Cycling Team’s Sean Bennett (El Cerrito, Calif.) – one of the youngest in the race at 22 – together creating a gap that held all the way through the Laguna Seca Recreation Area’s speedway finish line. 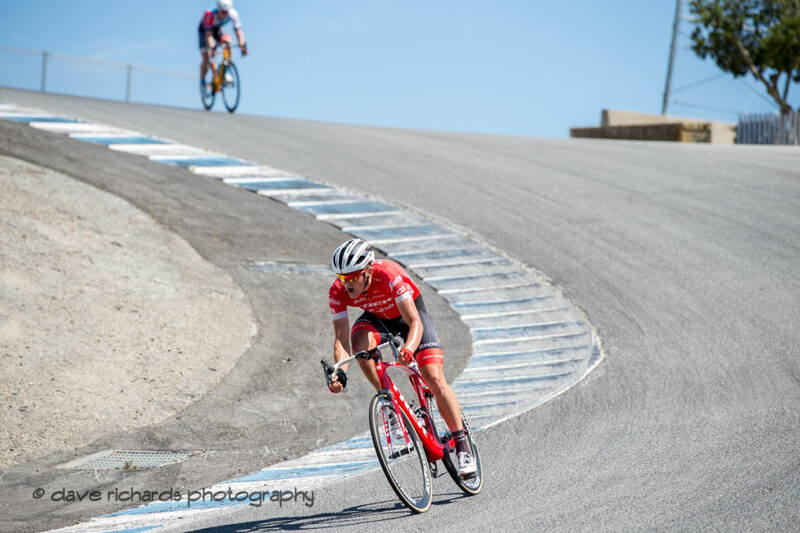 The pair pounced on the final big climb of the day with the peloton trailing by less than 10 seconds when they turned onto the Laguna Seca raceway. The remaining sprinters in the chase group including World Champion Peter Sagan (SVK), who won the stage the last time it finished at the speedway in 2016, jockeyed for position as they tried to chase down the duo, but the gap held with Skujins crossing the finish solo followed by Bennett three seconds later, and Mitchelton-SCOTT’s Caleb Ewan (AUS), who is prepping for his first Tour de France appearance this summer, rounding out third. Stage 3 presented by Lexus was the race’s longest with a 122.4-mile stretch featuring five KOMs and 8,300’ of elevation gain from first-time host King City, where the cyclists were cheered on by 2,000 local schoolchildren, to Laguna Seca Recreation Area in Monterey County, where the field met a fast, technical sprint finish. Ian Garrison (Decatur, Georgia) and Rally Cycling’s Robin Carpenter (San Diego, Calif.) and Evan Huffman (El Dorado Hills, Calif.), who won two stages last year. Garrison was the last man standing as the others were picked up by the peloton on the Laureless Grade climb and was awarded with the Breakaway from Cancer® Most Courageous Rider Jersey. The day of tough climbs shattered the peloton with many of the field’s sprinters losing contact with the main group and riders still trailing in minutes after the leaders finished. Quick-Step Floors’ Stage 1 winner Fernando Gaviria (COL) had a mechanical on the downhill from Laureless Grade that took him out of contention for the final sprint. Team Sky’s 21-year-old Egan Bernal (COL) retains the Amgen Race Leader Jersey, the Visit California Sprint Jersey, the Lexus King of the Mountain Jersey and the TAG Heuer Best Young Rider Jersey. Utah riders TJ Eisenhart and Tanner Putt are in 21st overall and 84th overall respectively. Tomorrow’s individual time trial event in San Jose / Morgan Hill will feature cyclists racing the clock one by one. With Bernal having gained significant time over other time trail specialists and GC contenders with his epic Gibraltar Road climb Tuesday, the stakes are high for this stage as riders with race champion ambitions will seek to make up time and pull closer to him in the overall standings. In addition to Bernal, Yousif Mirza (UAE) of UAE Team Emirates is the other current National Time Trial Champion in the peloton. The 2018 edition of America’s premier cycling stage race will cover 645 miles of roadways, highways and coastlines during seven stages from Long Beach to Sacramento May 13-19, while the Amgen Tour of California Women's Race empowered with SRAM, showcasing the world’s best women cyclists, will run concurrently May 17-19, covering upward of 187 miles over three stages. The annual professional cycling events are the only U.S. races on the UCI WorldTour calendar and continue to attract some of the most renowned cyclists and teams in the world. The Amgen Tour of California and the Amgen Tour of California Women's Race empowered with SRAM are Tour de France-style cycling road races created and presented by AEG. 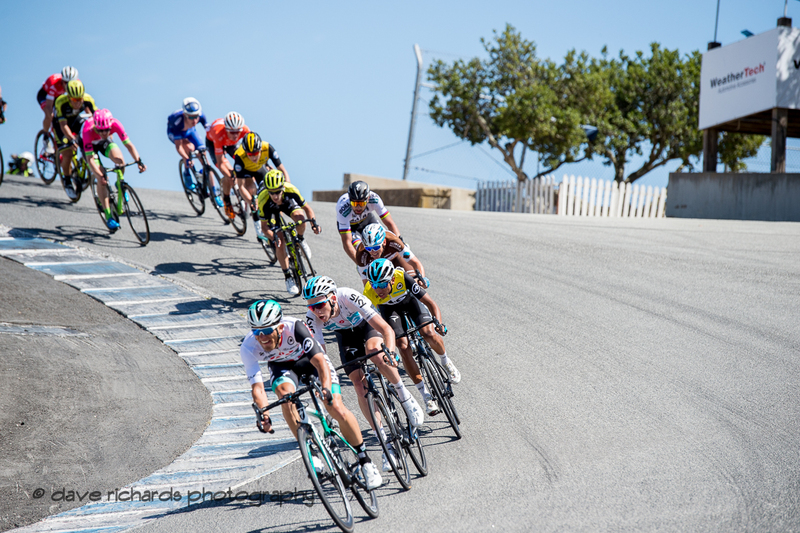 Running concurrently, the races challenges the world's top professional cycling teams to compete along demanding courses that traverse hundreds of miles of California's iconic highways, byways and coastlines each spring. The teams chosen to participate have included Olympic medalists, Tour de France contenders and World Champions, and award important, world-ranking points to the top finishers. More information is available at amgentourofcalifornia.com.